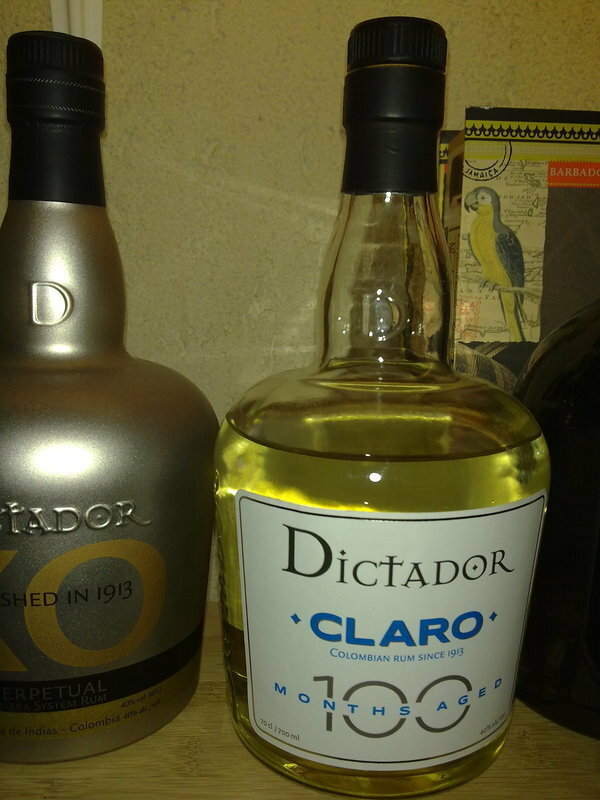 Have you found an online vendor selling Dictador Claro 100 ? Im Glas etwas transparent gelblich. In der Nase die typischen Gewürz Düfte die auch beim 12 yo , 15 yo und den XO zu finden sind aber nur sehr schwach im allgeneinem eine schwache Nase. Etwas geräuchertes Karamell und dezente Holztöne sind flüchtig war zunehmen. Im Gaumen lieblich warm aber sehr zurückhaltend. Kokos, Limetten, Zuckerrohr, Butterkekse, Schokolade und Gewürze sind dezent war zunehmen. Der Abgang ist wohl das Beste an diesem Rum. Herrlich lang wechseln sich Schokolade, Karamell und Gewürze ab. Ein durchaus interessanter weisser Rum für Drinks mit "Körper". Für meinen Geschmack ein wenig zu viel gefiltert, gegenüber den 12 yo,15 yo oder XO wirkt dieser 8 jährige flach und fade. Neu jetzt in der klaren Dictador Standartflasche. In the glass slightly transparent yellowish. In the nose the typical spice scents that are also found at 12 yo, 15 yo and XO but only very weak in general a weak nose. Some smoked caramel and subtle wood tones are fleetingly increasing. Deliciously warm on the palate but very reserved. Coconut, lime, sugarcane, butter biscuits, chocolate and spices are discreetly increasing. The finish is probably the best thing about this rum. Wonderfully long chocolate, caramel and spices alternate. A very interesting white rum for drinks with "body". For my taste a little too much filtered, compared to the 12 yo, 15 yo or XO, this 8 year old looks flat and bland. 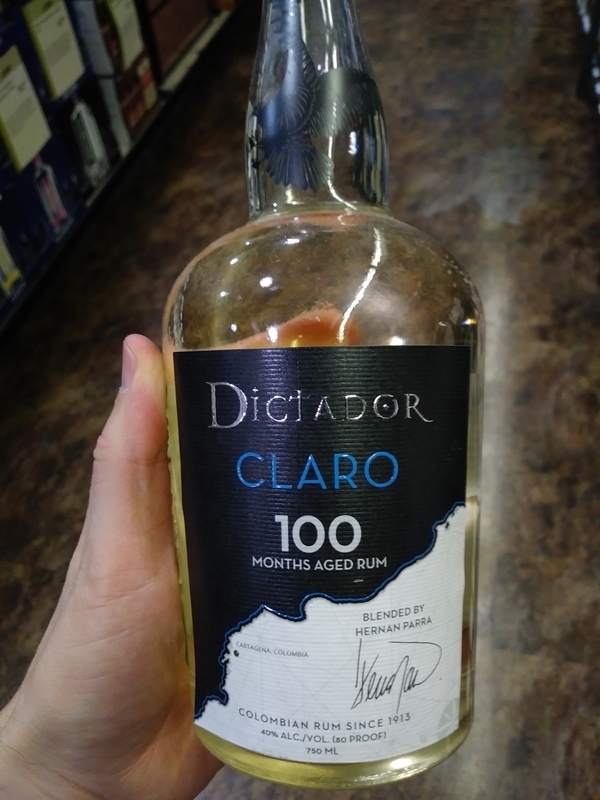 New now in the clear Dictador standard bottle. First off the "100" refers to how many months it has been aged (a little over 8 years). Interestingly even after that long the color is a pale yellow which makes me wonder if it has been charcoal filtered at some point. On an aside, I don't know who is responsible for quality control on the bottles but the metal screw cap was substandard and would not release thereby stripping the groove and making it difficult to open. Eventually I managed to coax...force would be a better word...into opening but it wouldn't seal properly after that. Time for a re-design. Swirling it in my snifter revealed good legs and a very pleasant aroma. The flavor is quite nice...vanilla, oak, pepper, and a hint of caramel. Sticks to the tongue for a while and has a little burn in the back of the throat. Definitely a nice sipping rum. Personally I think this is a worthy beach rum. Could be used well in a mixed drink but I would personally recommend it for sipping and relaxing. In regards to rum, I don't like chocolate flavor. But I like this because finish is very clear. Tried a glass of Dictador 100 Claro while vacationing in Versailles. Blah bottle and label design. Light yellow color. Weird peppery nose test. Strong alcohol to the palate. Mix it with your favorite soft drinks. Not a neat sipper rum. I think it was 2016 when I did order whole Dictador 100 series and I have to say that Im not a big fan of white ones. But this white rhum change my opinnion! Lovely stuff and You actually can drink this neat with ice. I don't usually go for clear rums but I wanted to try this one from Dicator and I am happy I did. I just wish I could find it more often.